What’s the coolest gadget you’ve bought for the start of the trout season this year? Is it a new pack, a new rod, maybe some new fly tying materials? 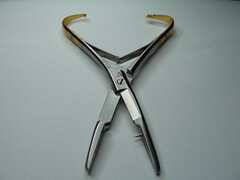 Well mine is definitely the new pair of snips I picked up yesterday – the Dr Slick mitten scissor clamps. I’ve known about these for a while as my friend Alan has used them for years and I’ve always thought they looked good but I didn’t really want to pay for them, they’re not cheap at £16. Yesterday I took the plunge, although in my defence I did have some gift vouchers from Christmas to use! The thing that is different about these compared to the various options that I used to carry is that they are an all in one solution. 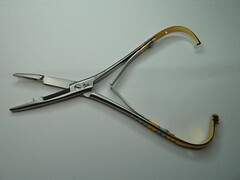 I originally carried nail clippers and forceps, then I moved to scissors and forceps of which various combinations have been dropped on river banks or confiscated in airports! 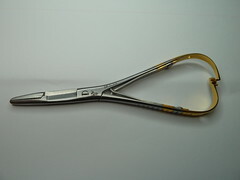 These Dr Slicks offer a pair of scissors, smooth pliers for debarbing, cross hatched pliers for removing hooks and a spike to clean out the eye of your fly – and all that on the one, easy to use, ergonomic tool. It certainly fits your hand nicely although it does take a fair squeeze to open the locking mechanism but that will loosen in time. When clipped shut they could easily be clipped around a lanyard, a zip loop, a bag tag etc. There’s no need to go out of your way to use a zinger or a special lanyard for these, they could attach to any existing loop or strap – another bonus. I like easy to use things that don’t require faffing around. I see too many fly fishers with 100 different things hanging off their vest with a zinger here and a zinger there, bugger that, just clip these over anything you like and get on your way. You can now debarb, remove hooks and cut tippet knowing you are way more efficient (not to mention cooler) than the faffer-arounders! It’s a small addition to my equipment for this season but it’s definitely a good one. I think they’re going to be very useful indeed as long as I don’t go and leave them on the river bank for some other lucky angler. Check them out, I think you’ll like them!